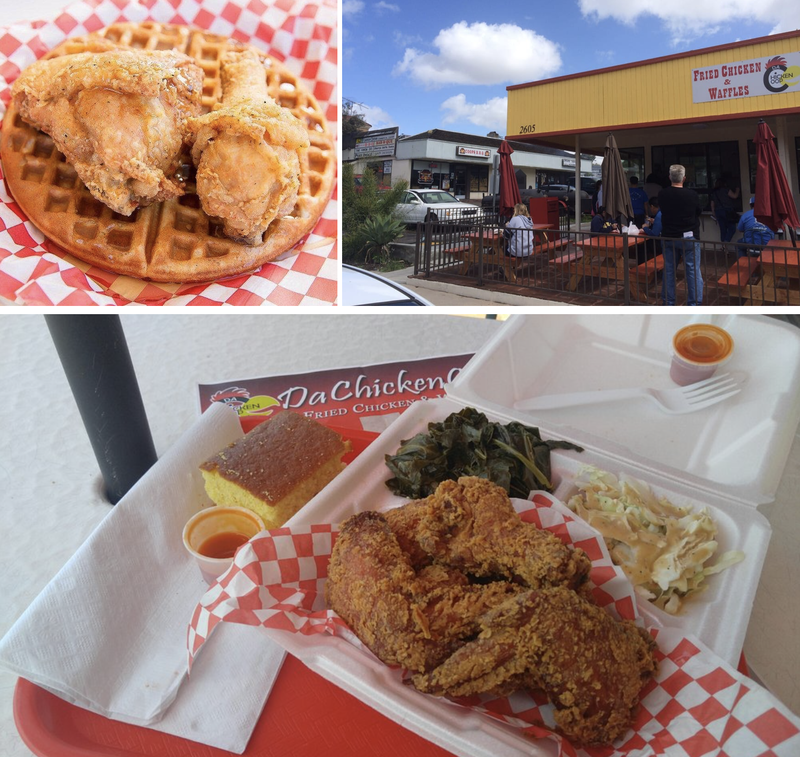 It shuttered earlier this year despite rave reviews, but Da Chicken Coop will make its triumphant return in Lemon Grove this week, offering a menu of Southern fried chicken, soulful sides, waffles, fish and more! Bradrick "Coop" Cooper opened Da Chicken Coop fried chicken concept in March 2016 next to his popular barbecue restaurant Coop's West Texas BBQ in Lemon Grove, but reluctantly closed the restaurant in February 2017. Cooper has announced that Da Chicken Coop will reopen on Friday, December 29 with a menu of fried chicken, fried fish, sandwiches, waffles, soul food side dishes, and more. He will also be serving his award-winning tamales to celebrate the grand reopening. Coop's Lemon Grove institution - Coop's West Texas BBQ - has earned rave reviews over it's 5 year tenure and was even named as one of Yelp's Top 100 Places to Eat in the U.S in 2014 & 2016, but Coop also knows a thing or two about fried chicken. After taking home both the People's Choice and Judge's Choice titles at Eating and Drinking in San Diego's Fried Chicken Throwdown in August of 2015, Bradrick was inspired to start frying chicken full time. When a former taco shop came up for rent in the same plaza that houses his barbecue mecca, he decided to expand, and the idea for Da Chicken Coop was born. Both Coop's West Texas BBQ and Da Chicken Coop are located in the shopping plaza at 2625 Lemon Grove Avenue. For more information, visit coopsbbq.com.